This is a great kilt. Well made and lightweight. The size Large fit my husband perfectly (he’s a 34X36). 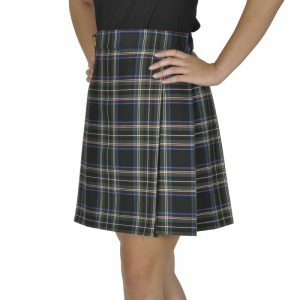 We love Sport Kilt’s products and their excellent customer service! Excellent products and excellent service !!! I started ordering from Sportskilt years ago. I have numerous kilts from you guys that are just plain comfortable to wear. I had always hoped that you would someday get my Clan Tartan. Sure enough, you did and the kilt is Awesome!! I’ll be wearing it quite a bit and also will be letting my family and friends know to order from you. Thanks again for the quick service and quality products you provide. You guys are fantastic!! Excellent casual kilt. Perfect for sports. Nice material and colors, runs true to size. I would definetly purchase this kilt again.